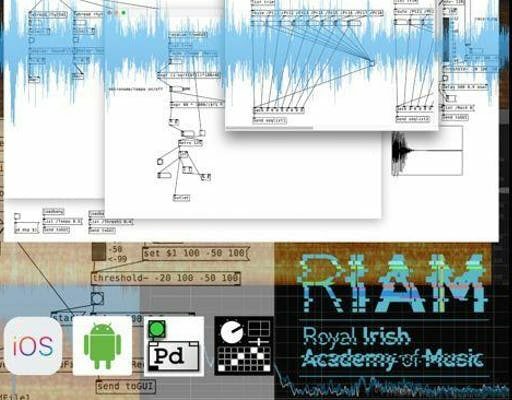 The Royal Irish Academy of Music is offering short workshops to transition year students in Music Technology in the 21st century. Under the guidance of composer Jonathan Nangle, groups will be introduced to the world of programming music applications for IOS and Android smartphones/tablets. Making music in the 21st Century has become easier and more accessible than at any other point in history. The rise of an affordable technology puts the tools of music production in everybody’s hands, and social media provides a global audience. The moniker ‘Bedroom Producer’ has become a byword for the artist that produces hit music outside the traditional, mainstream, music industry of old. The artist that can see beyond the plug-and-play software environment and handcraft their tools has the advantage to mould their own sonic identity and stand out from the crowd. Students will progress from the free modular music programming environment Pure Data, through designing a GUI (Graphical User Interface) for their device, to uploading and testing their applications. All the software tools are free meaning students can take their newfound knowledge home with them and build upon it and incorporate it into their music making. The courses will take place at the Music Technology Lab in the Royal Irish Academy of Music and there are two dates to chose from. The course will run from 10.00am – 1.00pm OR 2.00pm – 5.00pm on either 10 December 2018 OR 4 March 2019 at a cost of €50. Students will require their own IOS/ Android smartphone or tablet device.